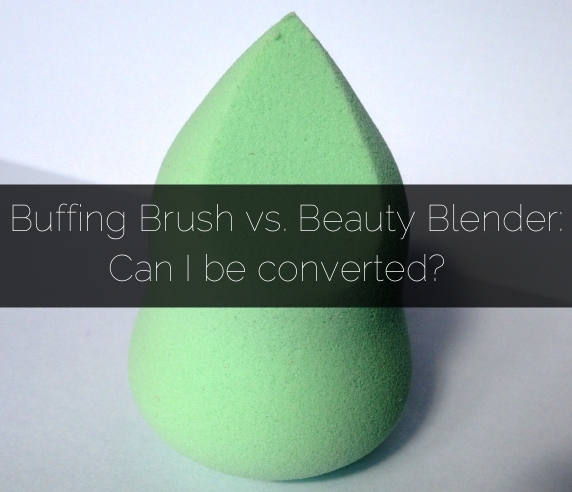 Buffing Brush vs. Beauty Blender: Can I be converted? I have been a loyal Real Techniques buffing brush user to apply foundation for a good couple of years, but since the introduction of sponge beauty blenders being brought out by many brands, I've been very curious as to how they compare. After attending the #BloggersUniteSummer15 event in Sheffield organised by Bloggers Unite Events, I received an incredible goodie bag including a Nanshy Marvel 4 in 1 make up blending sponge. How cute is the packaging?! Firstly, I had to research what was so "4 in 1" about this product, and I learnt that this refers to the different surfaces of the sponge and its ergonomic shape. 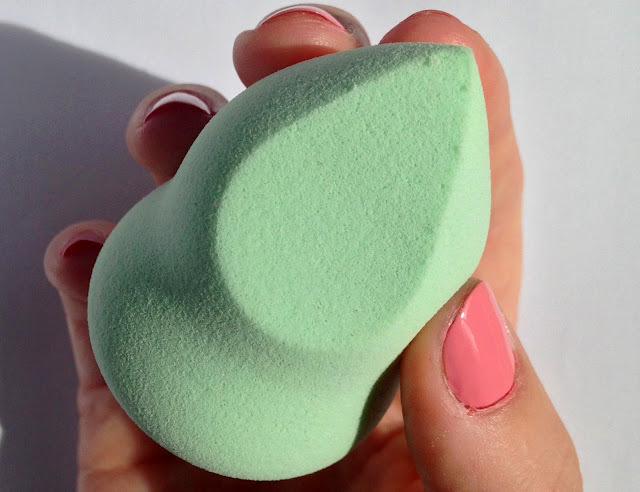 Traditional beauty blenders tend to boast a 3 in 1 design, but the Nanshy sponge has an added fourth flat surface. It must be said though, that this added surface is not gimicky in any way at all. It's probably my favourite surface to use! The pointed part is perfect for blending in under the eye and around the nose and I think the sponge works so well to blend in concealer over acne scarring and over dark circles. I've noticed that using the beauty blender on dark circles as opposed to using my finger or a brush leaves such a nicer finish and leads to a lot less creasing under the eyes, which I'm very happy with! In my opinion, using the sponge gave me more of a natural finish than a full coverage, so in this respect using the sponge for foundation works best for me when doing make up for work or for days off when I don't want to look fully made up. I didn't feel the sponge worked well for blending in concealer over raised spots and blemishes, so for these I just continued to use my finger, which works perfectly fine for me. Overall, I'd say it isn't a matter of conversion as I'm continuing to use both the beauty blender and buffing brush to suit my needs, and I would say I use the beauty blender pretty much every day to blend in concealer to cover up dark circles. 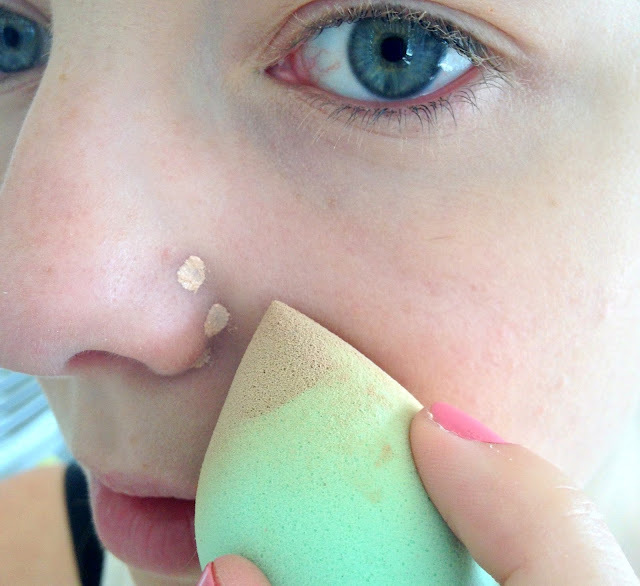 I'd definitely recommend the Nanshy blending sponge with the flat edge as it fits beautifully to the contours of my face, and makes blending foundation and concealer so easy!